Please login or register to rate apps. This app has not been categorized. 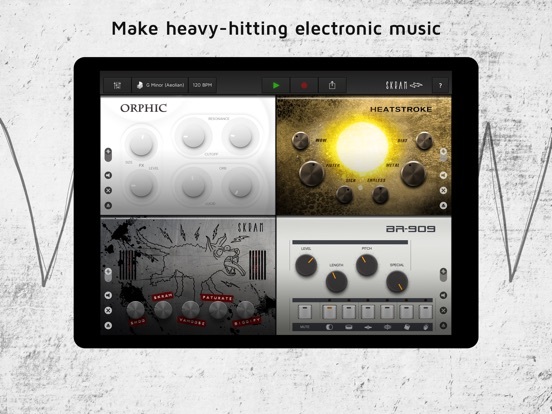 This app lets you create electronic music jams on your earbuds, at the house party or in sync with other apps. 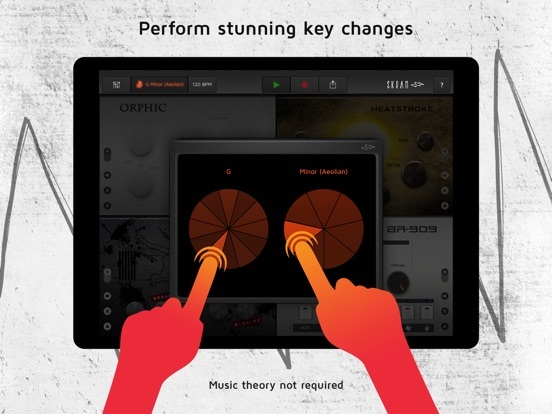 Easy for first time musicians, inspiring for pros. Now FREE! NEW! Ableton Link. Seamlessly sync Skram to other Link enabled apps. NEW! AudioCopy support. 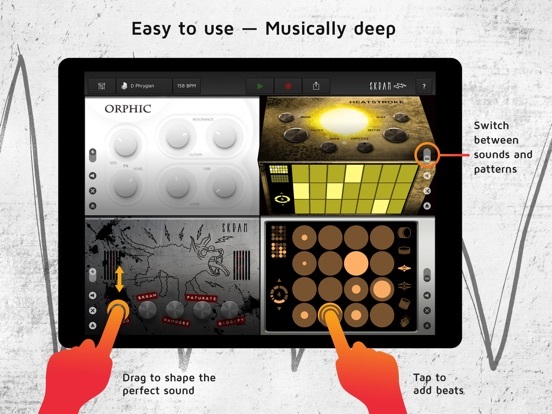 Copy Skram audio to other apps. 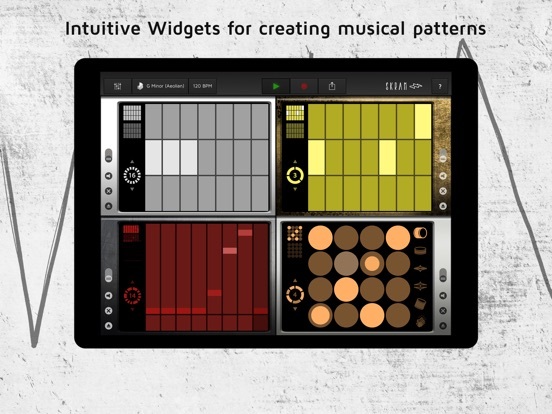 We recommend using headphones or speakers large enough to annoy the neighbours to get the full impact of this app. 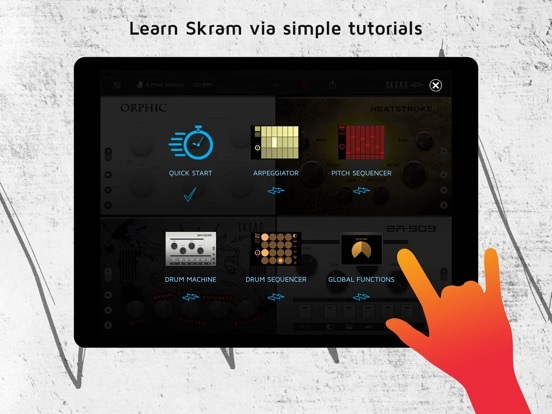 Skram is made in Berlin - the world capital of electronic music. Requires 64-bit iPad and iOS 9.0 or higher. There are no comments on this app. To create a new comment, use the form below. You are not currently logged in. Anonymous comments are not allowed in the Music App Guide.